"Don't keep a negative stance against the Congress. The country needs a mahagatbandhan (grand alliance) and you have a role in it," Mr Stalin reportedly told Mr Kejriwal. Not long ago, National Conference leader Farooq Abdullah used slightly different words to drive home the same message, for the Congress: "Keep your egos and lose." AAP has always complained that the Congress has never reached out to it. The party was positively upset when the Congress agreed to attend an opposition protest organised by the RJD but insisted that Rahul Gandhi would not share stage with Mr Kejriwal. Last year, during the vice-presidential election, AAP decided it would not offer support to the opposition candidate until Rahul Gandhi reached out to their chief. Amid stiff objection from Delhi Congress chief Ajay Maken, there was no such call. Mr Kejriwal and the Congress president were seen sharing any public forum for the first time on November 30, when they addressed a huge farmer protest in Delhi. 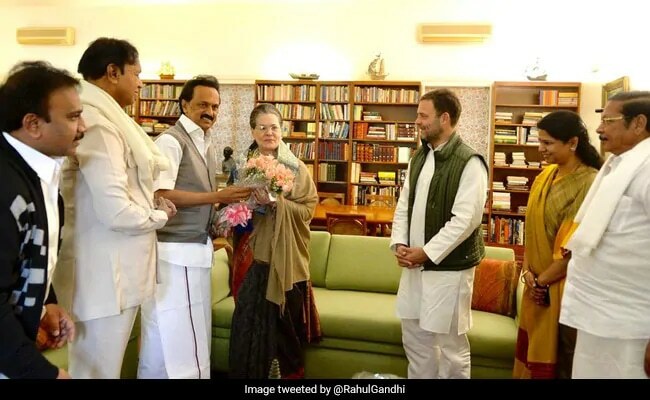 On Sunday, DMK president MK Stalin, M Kanimozhi and A Raja also called on UPA chairperson Sonia Gandhi on her birthday. In May, Mr Kejriwal had attended the oath ceremony of HD Kumaraswamy, which became a display of opposition unity and offered flashes of an anti-BJP front in 2019. 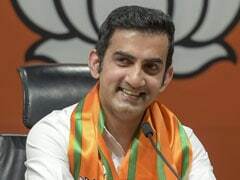 The Delhi chief minister has already taken a big step by agreeing to attend the opposition meeting this afternoon, which will also include Rahul Gandhi. The meeting called by Andhra Pradesh Chief Minister Chandrababu Naidu is aimed at talking strategy for a common fight against the BJP in next year's national election. 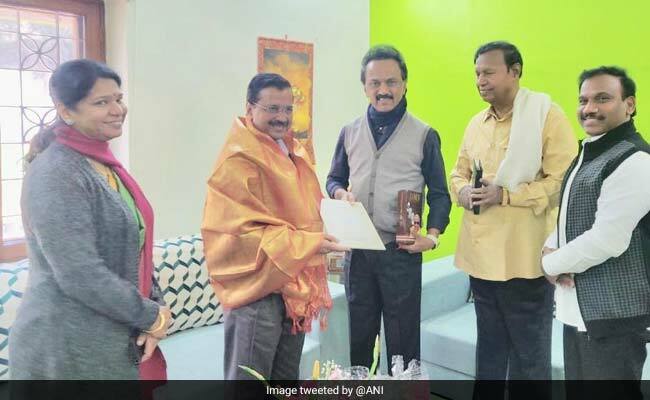 Mr Kejriwal's previous attempt at a partnership with the Congress ended abruptly and was the start of a bitter rivalry in Delhi. In 2013, AAP formed its first government with outside support from the Congress but quit 49 days later. Since then, the Congress has attacked Mr Kejriwal and his party as sharply as the BJP. AAP may look for inspiration to Mr Naidu, who walked out of the NDA earlier this year and recently ended his decades-long rivalry with the Congress to campaign jointly in Telangana. "It is for people to sink their differences... Democracy is important," said Mr Naidu. But for AAP and Congress to unite against the BJP, there is the little matter of Punjab and Haryana to be thrashed out. The two are fierce rivals in both states and can eat into each other's votes.